Did you know the dandelion is 100% edible? Yep, and you can use them to brew your own batch of moonshine, too. Perhaps you have a field of dandelions growing in your neighborhood…or down at the park. 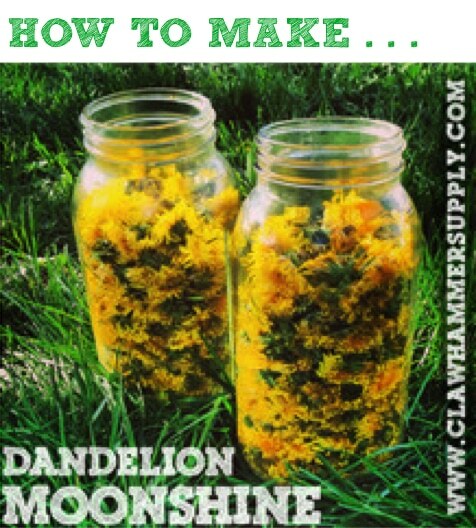 Folks may wonder what you’re going to do with a giant pot of fresh picked dandelions but you’ll smile knowing they are about to be transformed into your very own dandelion moonshine.